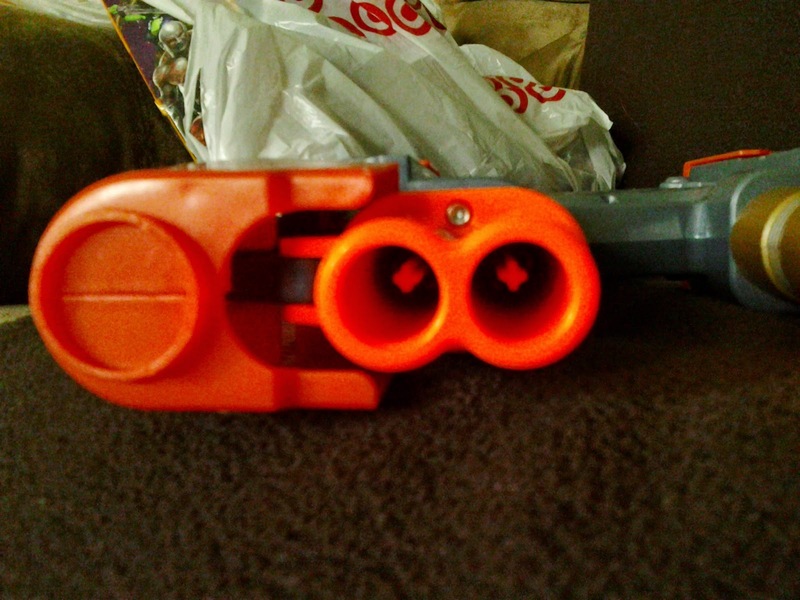 The secondary trigger releases the swiveling pieces on the top and bottom of the blaster. 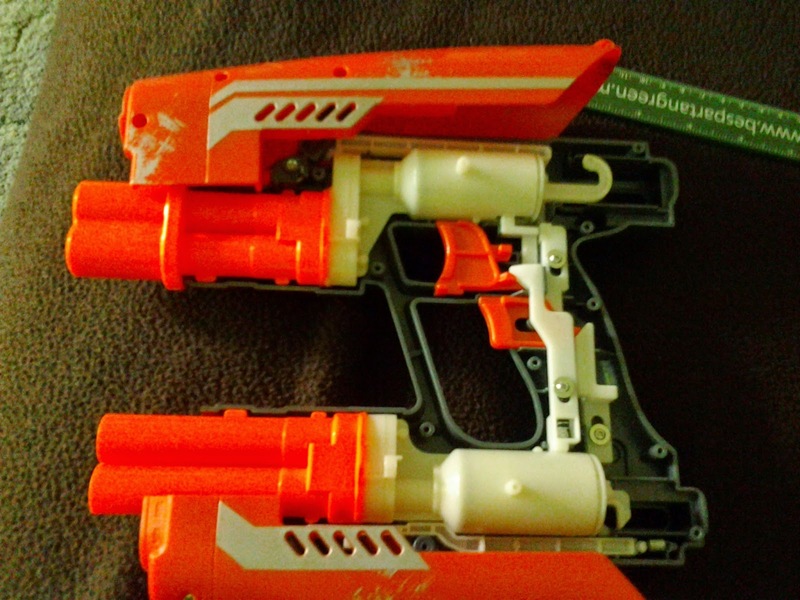 It's mainly for aesthetics, but it also needs to be released to fully utilize the blaster - you can fire the first barrel on top and bottom when closed, but have to retract the panels to use the last ones. 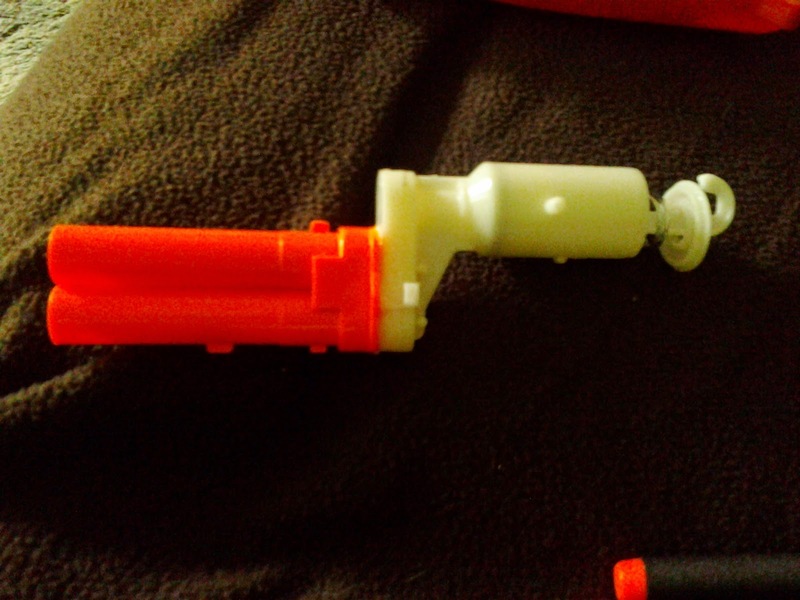 The first big disappointment comes in priming the blaster - total movement amounts to only 2cm! 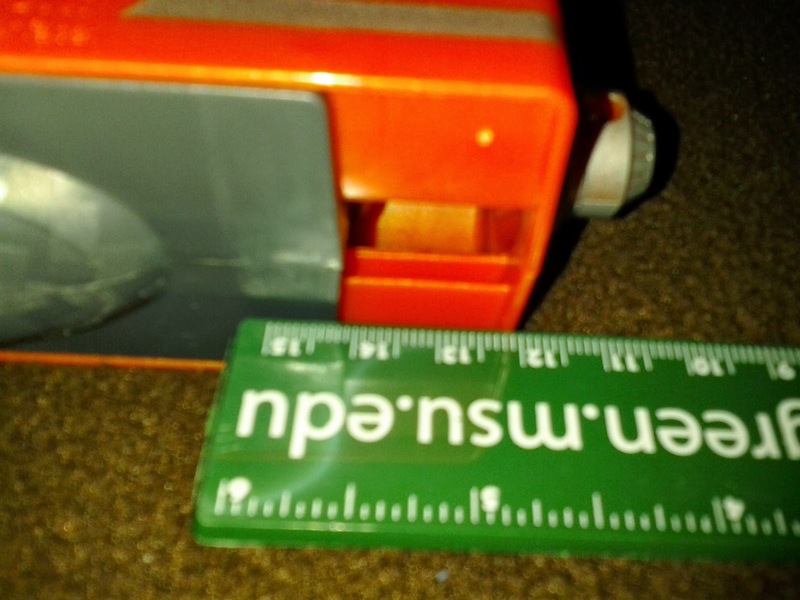 Well, only one thing left to do - open the blaster and see what's up with this thing! A dozen screws or so later, and we find that not one, but TWO Jolt internals are in this thing. 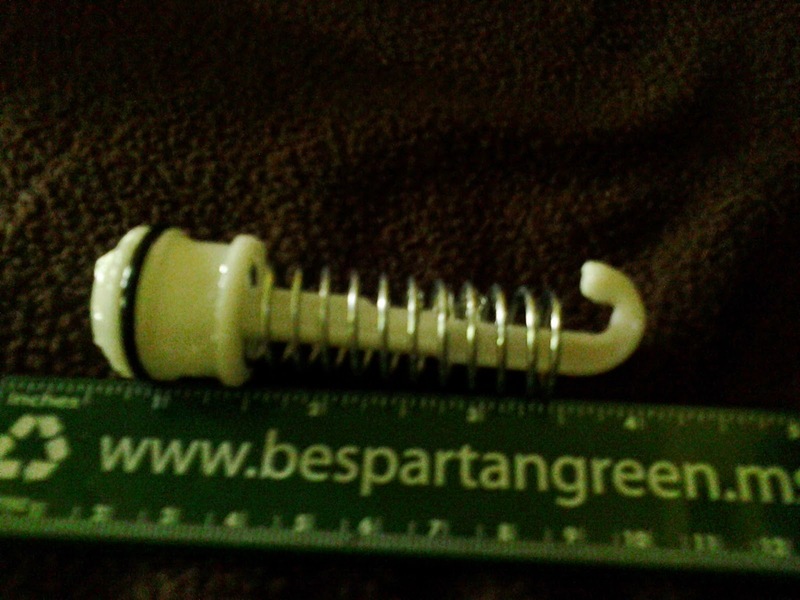 2cm draw, 2.5cm diameter plungers, and some dead space between the plunger tube and barrels. That explains the 25ft ranges, as opposed to the normal 35-40ft ranges of a Jolt. The trigger assembly is nice and complicated! Jolts. They will never die. 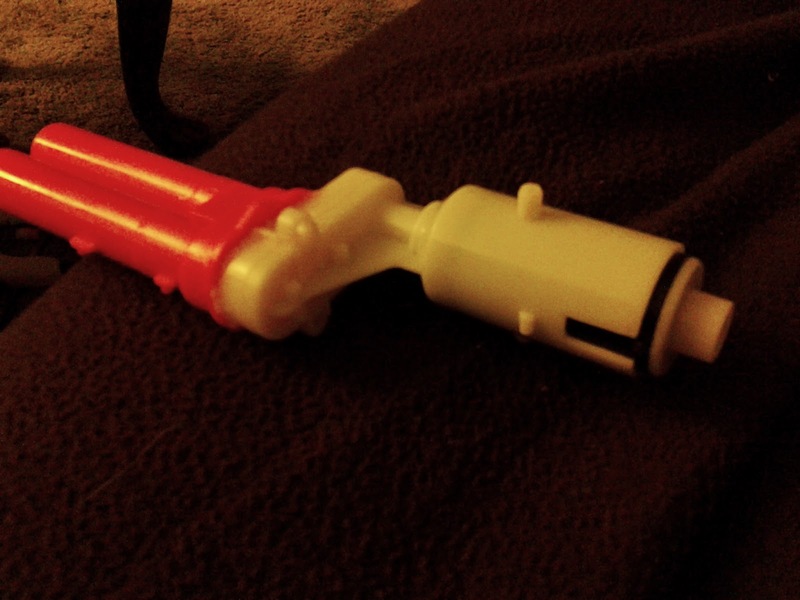 And one of the plungers: exactly the same as a Jolt, down to the catch on the plunger head. The Star-lord Quad Blaster performed as advertised in testing, reaching 25ft ranges when fired level. Having four shots total was also a plus. 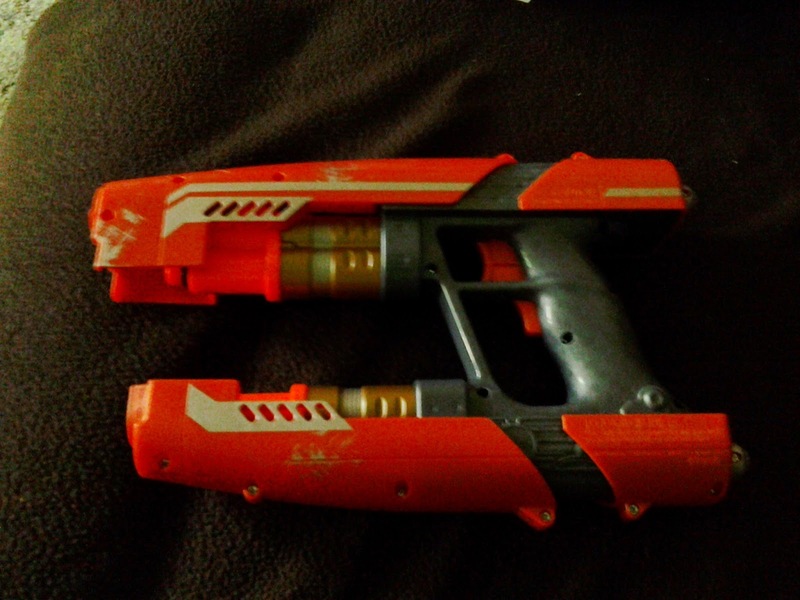 But the $20 price tag is too much to justify recommending this blaster for stock use. Thanks, Buffdaddy! 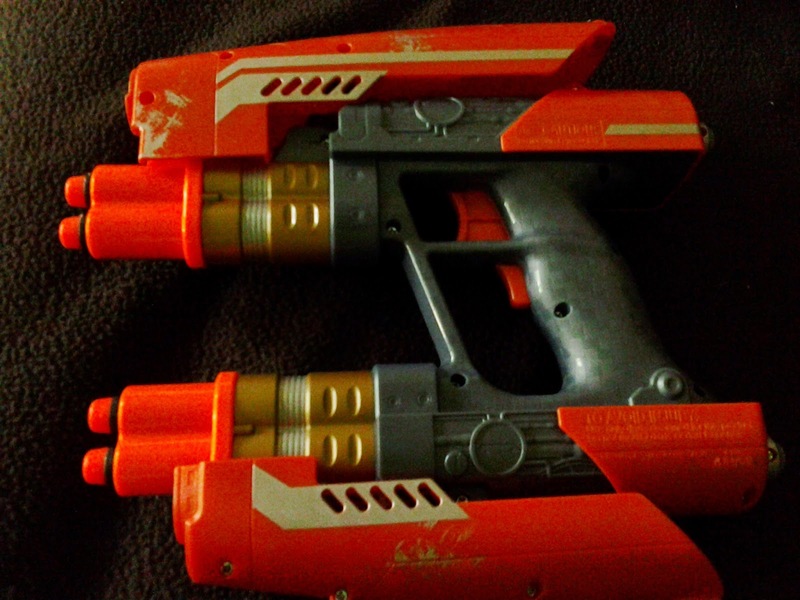 I was wondering about this blaster. Please let us know if you replace those Jolt internals for Air Max ones! We'd love to see what you'd end up with. Would you be fine with emailing me some pictures? Perhaps I can spot something. Fun fact: these are only about 8 bucks on Amazon.com right now. At that price, couldn't help but pick one up!